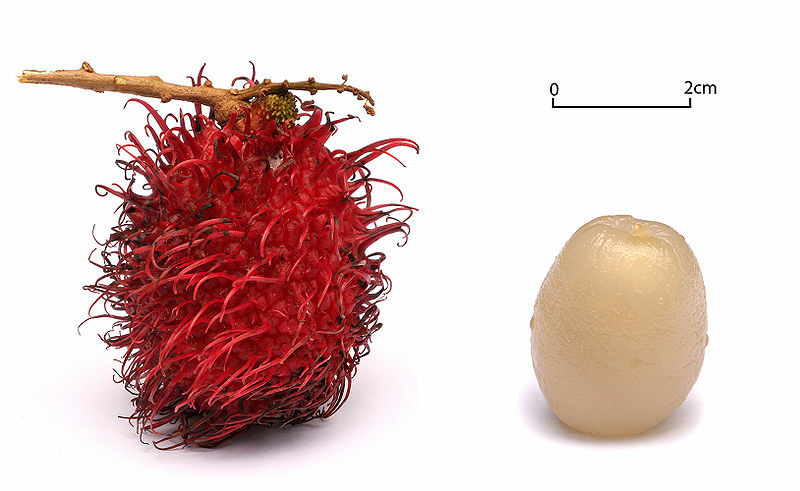 10 of the Most Exotic Tropical Fruits on Earth - What on Earth? Beans and cucumbers are fruits. Nobody wants to sink their teeth into a juicy bean. Fruits are the nutritious fun food, and when you start getting into the tropical kinds of fruit, it’s even more fun. When you’re talking about the tropics you are referring to the area centered on the equator, going as far north as the Tropic of Cancer, and as far south as the Tropic of Capricorn. Tropical fruit have their origins in the tropics. They require tropical or subtropical temperatures; they cannot live through any frost. This fruit is native to the Philippines and is often called the starfruit. It has five ridges running down its side, and when you cut it crosswise, the result is a perfect five-point star. Some of the fruit have three to six ridges, but the cuts still look like stars. All of the fruit is edible including the skin which is a little waxy. The flesh is very juicy, firm, and crunchy. Carambola or starfruit are best when they are ripe. You will know they are ripe if they are yellow with a light shade of green. Brown will be what you see on the ridges, and it will feel firm. People describe them as being sweet, but not overly sweet, with a little taste of sourness; much like a mix of apple, pear and something in the citrus family. 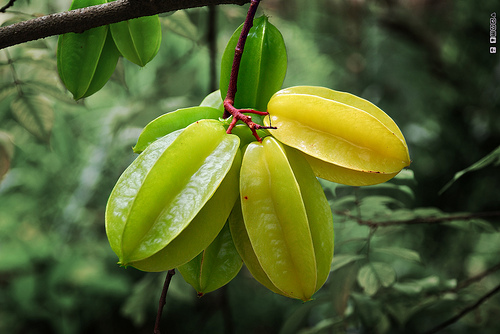 An unripe starfruit will taste like green apples. The most beautiful and vibrantly colored fruit, the pitaya is often called Dragon Fruit. 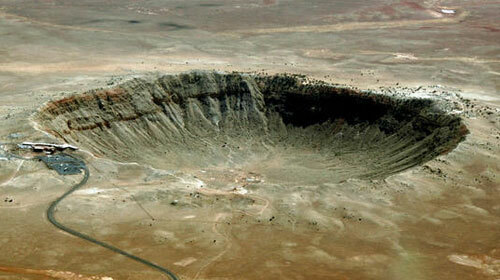 It grows on different species of cactus and is native to Mexico, Central America and South America. There are two kinds of pitaya; sweet and sour. Sweet pataya has a creamy pulp and a pleasant smell, while the sour type has a juicier flesh and a stronger taste. The inside of the fruit can be either white or a bright fluorescent pink. There are clusters of black crunchy seeds in the flesh which should be eaten together with the flesh. The outside of the fruit can be a bright red with green-like projections much like fingers. Some types have a yellow skin with white flesh. 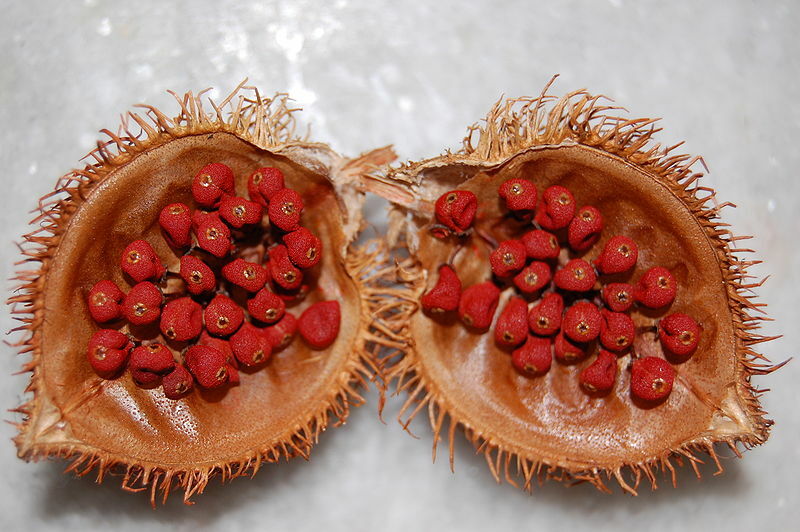 Not much on exotic looks, this fruit has thorns covering its husk and is known as the “king of fruits” in Asia. 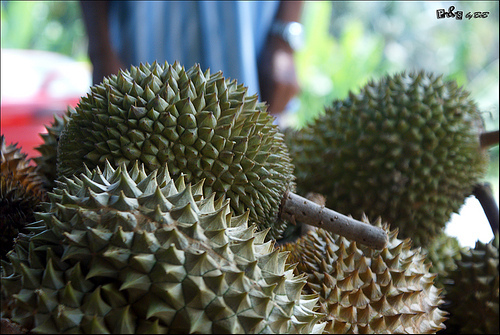 Chosen for great stories about its smell, the durian is outlawed in some hotels, malls and subways. The odor is very strong and offensive, but some people say it is “of such an excellent taste that it surpasses in flavor all other fruits of the world.” The “king of fruits” is a large oval or round shaped fruit with a green to brown husk and a pale yellow to red flesh. Inside there are about five sections full of cream-colored pulp, and about three seeds. This pulp is what is indescribable; some say it’s like a rich custard that has the taste of almonds, while others say there is a taste of cream-cheese, onion-sauce, and sherry-wine. Everyone agrees that it gives your breath the aroma that you have been French-kissing your dead grandmother. Enough said. Sometimes called Chinese Bayberry, this fruit grows on a beautiful medium sized evergreen tree. The fruit is round with a knobby surface, looking much like strawberries. 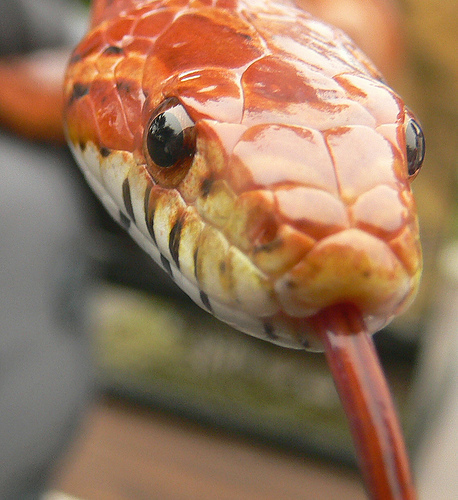 The outside color is a deep brilliant red but could vary from white to purple. The flesh inside is a little lighter than the outside, and it tastes sweet and very tart. It has one seed in it and takes up the space of half the fruit. 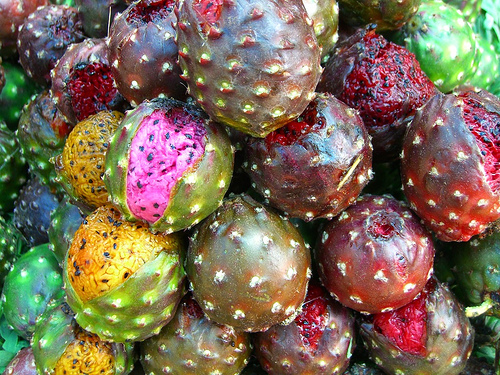 Besides being eaten as it, the fruit is often dried, canned or fermented into alcoholic beverages. 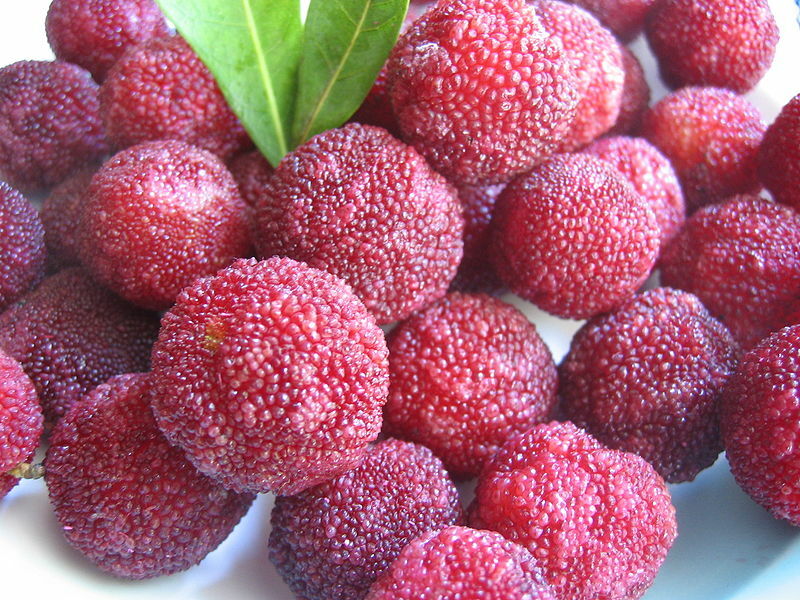 A juice that is produced from these fruits is called “Yumberry”. This fruit is in the coffee family and is known for its medical benefits. While ripening, the fruit will have a very strong and unpleasant smell. 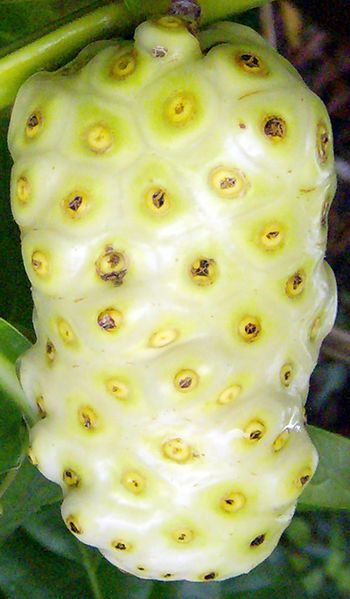 The noni fruit is oval and grows to be 4-7 centimeters. It has a knobby husk with brown spots in the middle of each knob. At first, the fruit is green, and then turns yellow the almost white as it gets ripe. The flesh has a bitter taste and contains many seeds which can be eaten if roasted. 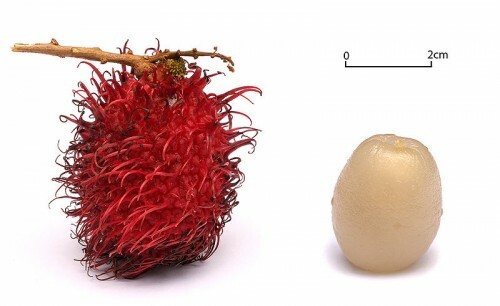 The strangest looking fruit ever, the word rambutan, in its native Indonesian, means hairy. On the hide of the fruit, which is magenta, there are many tiny green hairs. On the inside is flesh that looks like a peeled egg; it’s clear and gummy, and very watery with a large seen in the center. The flesh is described as sweet, sour and gummy to the taste. It definitely wins for the weirdest tropical fruit. 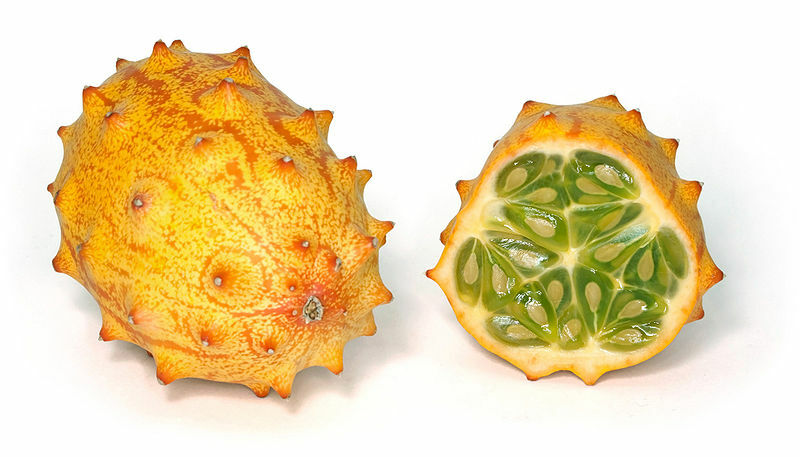 The other name for this exotic fruit is the Horned Melon. That should give you a good image in your head. When this fruit is ripe, it is yellow-orange on its hide with a lime green jelly-like flesh. The taste of the flesh is similar to a banana, cucumber and lemon combination. The Kiwano Horned Melon made its television debut in 2000 in an episode of Friends. This fruit is pear-shaped, and when it is ripe, its color turns from green to a bright red to yellow-orange. When it is fully ripe, it splits open and inside you can see three large shiny black seeds that look like eyes staring out at you. The fleshy part is soft, creamy or spongy, with a white to yellowish color. 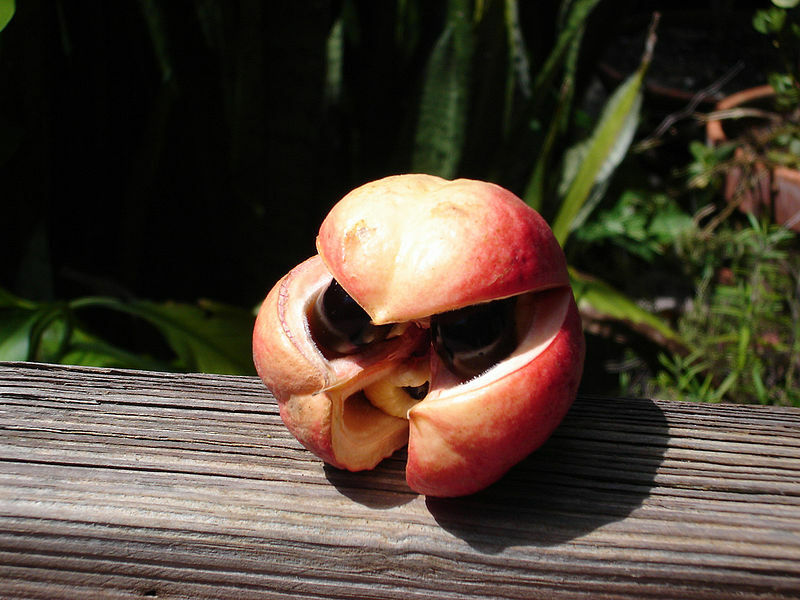 You cannot eat all the parts of the ackee fruit. The only part you should eat would be the inner, fleshy yellow bits. The red bits in the center of the fruit are extremely poisonous. You should always let the fruit ripen and pop open on the vine, and then be very careful how you prepare it. Similar to ackee, urucu pops open when it’s ripe and shows about 50 small red seeds in a red pulp. The pulp is used in India as an insect repellent, but the main use of the seeds is to make a dye. Native people from the Caribbean used the seeds to make body paints. Today the dye is mainly produced to color foods such as butter, cheeses, and cooking. This is another fruit that has small hairs on its husk. The outside is red and the hair-like structures are greenish-yellow. The most exotic tropical fruit prize goes to the Buddha’s hand. 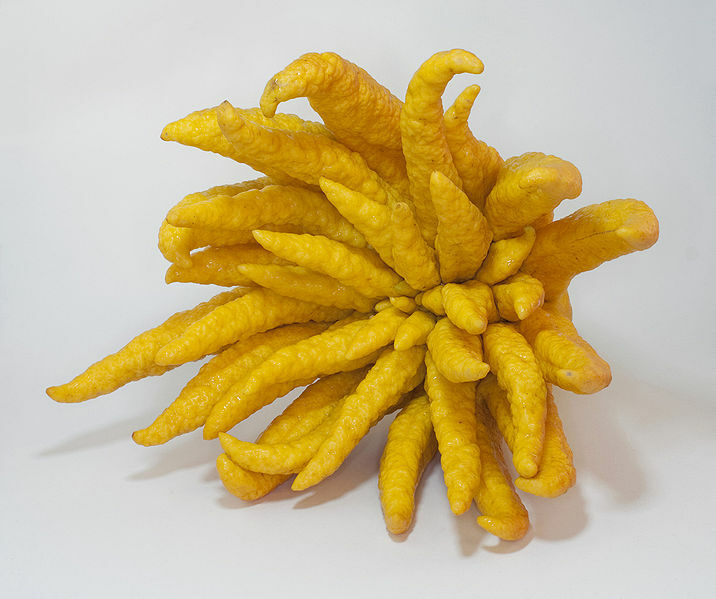 It resembles a bright yellowish-orange octopus hanging in a tree. The fingers or tentacles would number a lot more than eight. It was given its name because it looks like an old arthritic hand. The flesh, what little there is, is white, juiceless and sometimes seedless. Its fingers may be cut off and sliced lengthwise, peeled, and then scattered over foods. It does not have a bitter taste like most citrus fruits, but the Buddah’s hand is mostly used for its wonderful fragrance.